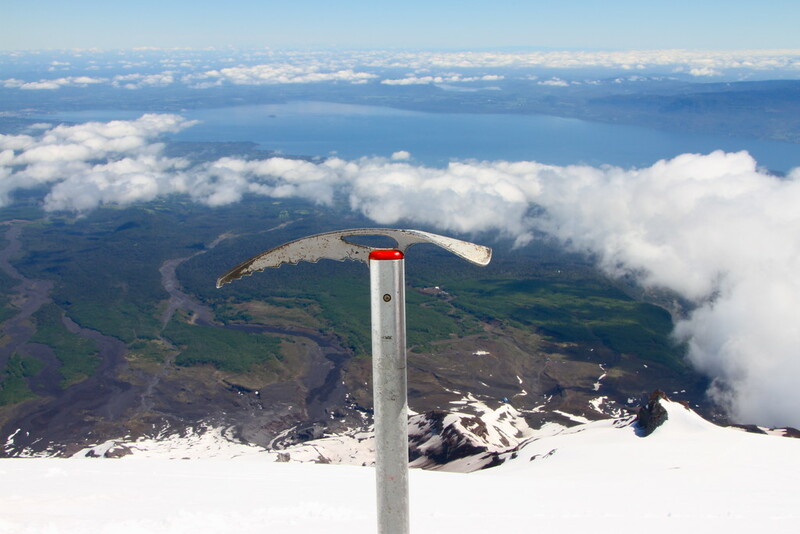 So you’re thinking about climbing the mighty Volcan Villarrica? Gluttons for punishment, after only three days in Chile we signed up for another volcano climb! 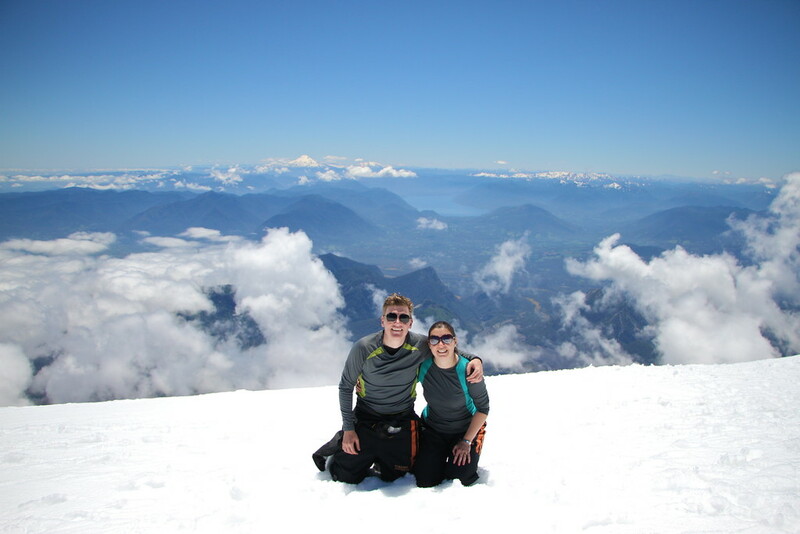 After our volcanic Rinjani trekking adventure in Indonesia, our sapa trekking experience in Vietnam, and our day trekking the Tongariro crossing, our next challenge was Volcan Villarrica near Pucon. You may think we’re obsessed with volcanoes, but it just seems to be that the most interesting climbs happen to be over things that are dangerous! Arriving at the offices early doors, it was time to get our kit on. Yet again on our trip it was time to layer up. The set up was rigorous: waterproof trousers, climbing boots, crampons, waterproof jackets, helmets and a dangerously sharp looking ice axe all checked and verified. We looked like pros, once again we had no idea. If we weren’t fully awake after our early morning start, the 30 minute journey on a bus with seemingly no suspension (or tyres) got our attention, as we ascended to the volcano base along a rock laden road. We were ready for what was to come, or so we thought. We reached the base of the Volcan Villarrica, and looked up at the challenge ahead: 1 kilometre above us we could see the smouldering summit of the volcano. Wait…smouldering? Don’t worry, our guide assured us. Our ascent would be over snow and ice to the crater at the top, no nice little paths to walk along, no steps to use. In fact, there would be no walking on any ground the whole way up (and down). And so came the easiest decision of our trip to date: to take the ski lift for the initial hour walk or not. What would you prefer? An extra hour of journey time scrambling across scree or a 10 minute ski lift to cut the boring rock ladden scree bit out? Some decisions are difficult in life, this wasn’t. With our backpacks strapped to our fronts temporarily, we jumped up onto the platform and waited for our seats to fling around the end of the lift and come back at us. At some speed, the chair swung round, we bent our knees and smack, we were on the lift and already soaring above the base of the volcano. No safety barriers here, just a wooden seat attached to the pulley system, and our heavy backpacks on our front and ice axes in our faces. We relaxed and enjoyed the views as we passed over other much braver souls who had decided to walk the extra hour. Good luck to them! Challenge number two of the day: getting off the lift with our heavy bags on our fronts. As we approached the platform, two bulky men were waiting in anticipation to yank us from our seats before they swung around and took off back down the mountain. Feet down, a strong arm from each side and we were off. The rest of the ascent would be all our own work. It was crampon time. We’d first used crampons on the fox glacier in New Zealand, so we were excited to strap them on again and get back on the ice and snow. After strapping in, it was health and safety time. This was the moment we realised this might not be as easy as we’d imagined. One of our guides explained to us how, in the event of us slipping down the volcano, to use our ice axe to halt the slide. It basically involved slamming the ice axe into the ice ala the film ‘Touching the void’. After this lesson, we were ready for our ascent. And so we began our ascent. 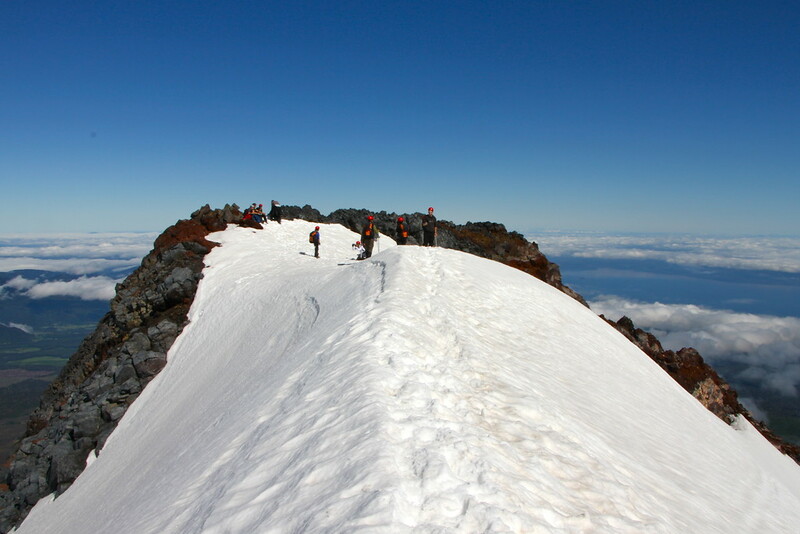 With its steep sides and icy covering, we had to zig zag slowly up the volcano. Left for 30 metres, right for 30 metres, and again and again. Digging our crampons into the icy slope, and using our ice axe to pull us forward, we were on our way. For 1 hour, we climbed without stopping, not borne out of time constraints but because there was nowhere to stop (we were, of course, on the side of a snow and ice covered volcano!). After an hour, we reached our first stopping point and got our first chance to look back at the vista. And what a view it was, lush green volcanoes punctuated the landscape, the obvious remnants of previous flows from the volcano spreading like tentacles across the landscape. The occasional cloud drifted below us, but it was a perfect weather day and we could clearly see miles into the distance. After our brief stop, it was time for hour number two and our climb to the ridge where we would have breakfast. Off came the jackets, we strapped our backpacks and helmets on, and we were off again. Instantly this leg of the journey was more difficult. The slope was steeper, the snow and ice looser than the lower slope. It was time to grit our teeth and get our heads down. For what seemed like an eternity, we criss crossed the side of the volcano, inching ever closer to ‘desayuno’ and a rest. And then we reached the ridge, an incredible moment! We were only halfway up the volcano, but the slope we were climbing up suddenly stopped and formed a sharp ridge which we balanced along as we made our way to an outcrop of rock where we would rest before attempting the second half of our ascent. At this point we were both tired, and quickly wolfed down some jam sandwiches, cereal bars and water to prepare ourselves for the next stage. Again we were treated to incredible views of the landscape, this time we could see further with the vastness of many lakes coming into view. After marvelling at the view, we turned to look at the challenge ahead. This is what we saw. Two further hours followed, scaling the side of the volcano. First it was back along the ridge we came along before snaking left and upwards toward the crater at the summit. We had a much better view of the steam belching out of the crater at the top, and in less than two hours we would be at the top, peering into the heart of the Volcan Villarrica. We had some serious work to do before then. Beginning the second half of our ascent, it would be another hour before we stopped again. We both kept our heads down, not daring to look up at how far we had to go, not wanting to see how far we’d come. Behind me I could hear Laura utilising her usual trekking strategy of counting 1,2,3 before returning back to 1 and repeating over and over again. I was struggling with a sore right knee and cramp in my left foot. Why were we putting ourselves through this again? Still we kept quiet, and focused on our routine: ice axe into the ice, left foot, right foot, ice axe into the ice, left foot, right foot etc. Occasionally as we switched from climbing to the left to the right, we’d swap our ice axe into the opposite hand and continue onwards and upwards. After another hour, we were exhausted and delighted to sit and rest on the side of the volcano for 15 minutes. Strapping up my knee and knocking back some painkillers, it was time for one final push to the top. 40 minutes more and we’d be there. The final push was easier than we thought, and we managed it with relative ease. We snaked left and right for a while, and then hit a ridge where we walked in a more direct route to the top. Reaching the top was an incredible feeling, high fives from our guides and fellow group members followed by our first glimpse inside the crater. Standing so close to an active crater on a volcano was an unnerving experience. Peering in, our snow covered side of the crater looked ominously easy to slip and slide down into the crater from where we were. On the opposite side, a mixture of reds, oranges, greys and blacks dominated the inside of the crater, becoming darker and darker the lower we looked down until they slipped away into the magma pools just out of view. We turned around to admire the view back down, and we sat and ate our sandwiches a mere metre from the crater rim. We couldn’t decide where to look! In front of us was the route we’d taken to the top. We were way above the clouds now, and our view was obstructed by these as we looked out over Chile. We sat and enjoyed our fleeting time at the top of Volcan Villarrica, took some photos, and enjoyed the view before it was time to leave. 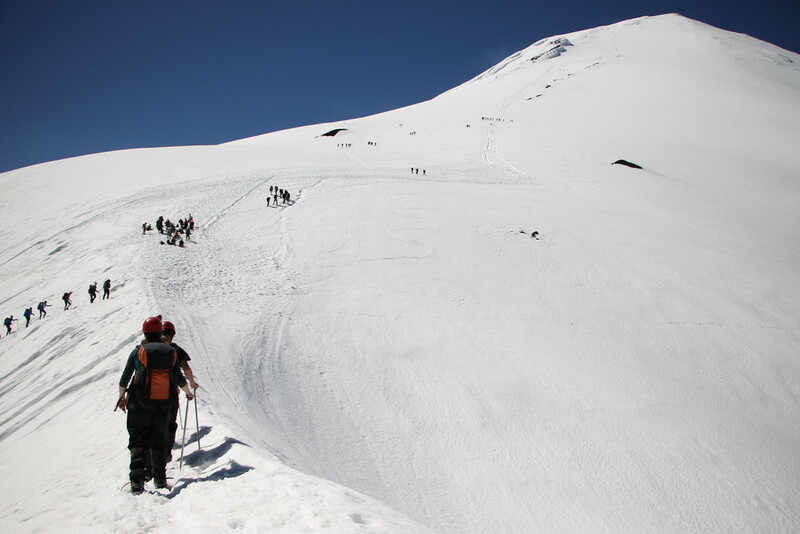 Climbing Volcan Villarrica is not for the faint hearted, people have died climbing it and weather conditions can deteriorate rapidly. That is why we absolutely recommend you use a reputable tour company to get you safely up and down the volcano. A good company will have good guides, good equipment and most importantly know the volcano better than anyone else. They will know when conditions get so bad to turn back. So book a tour company. You can do this when you arrive in Pucon, but we also recommend you check the most recent reviews on here. Hi! WOW! Next climb Everest! I have a question! I’ve been to the top of Machu Picchu mountain as well and was wondering what was more physically exhausting: Machu Picchu or Villarica volcano? Ah good question! I would say the Villarrica climb was more difficult (for us) as even with crampons you’re constantly losing your footing on the ice, making it more tiring! hey just curious, what company did you go with and how much was it? thanks! Hi Colleen, we went with Andesmar travel and we were very happy with the level of service and quality of equipment provided. There are plenty of options in the main street when you arrive though! Alright bests, catching up on your blog on a dozy Sunday morning, sorry it’s taken so long. I’m too jealous to comment on your Antarctica posts but I can sympathise with the villarica challenge. Hardest thing I’ve ever done physically, I think! Mind you, I didn’t take the ski lift at the start, not that I believe in oneupmanship of course! Haha thanks mate! Villarica was hard wasn’t it?! Well done on not taking the ski lift, bigger man than I am! Navimag was brilliant, thanks for the tip on that! 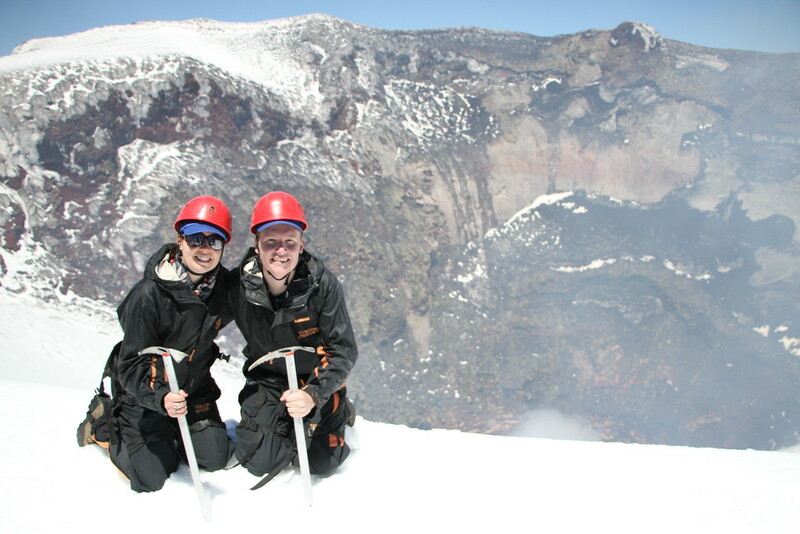 Your success in reaching Villarica’s summit crater is commendable. Scaling the slope to reach its crater under extreme weather condition is challenging. In Chile, the problem is freezing weather while in Philippines the problem is the melting hot summer temperature and heavy rainfall with strong wind during rainy or typhoon months. Thanks Jamie, it was very different from the Philippines! 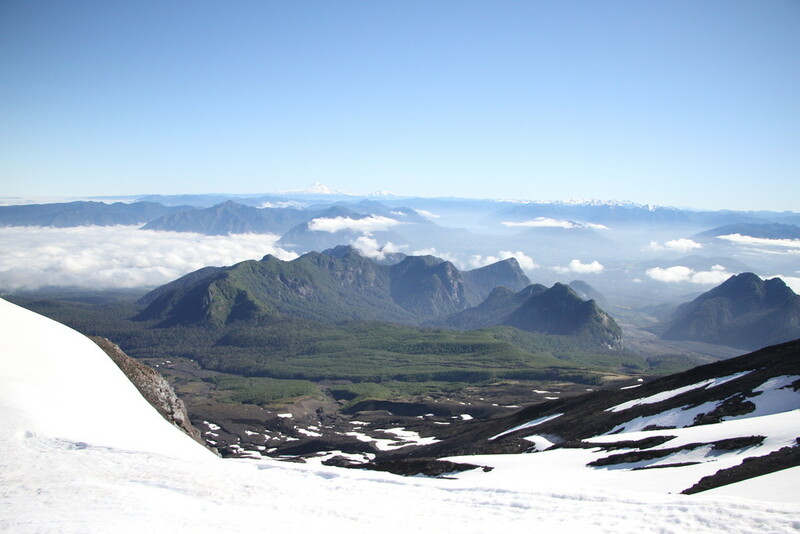 Have you been warned by your tour guides about the dangers of climbing the Villarrica volcano before you ascented? Two of my friends went missing when climbing the Villarrica volcano in November and haven’t been heart since. I was just wondering if they tell you what could happen. I have the feeling a lot of people are ill prepared when ascenting e.g.have never hikked with crampons or usually don’t hike at all when at home. Hi Marcus, we were warned about how we may slip down the side of the volcano, and what to do if it did happen. We had used crampons a couple of times before, and they explained to us how best to use them. We heard about some people going missing a few weeks after our hike, did they go with a tour group or attempt it solo? As we were climbing, there were a number of other groups making the ascent, so we felt as though there were enough people there should anything go wrong. Be interested to hear your thoughts. This looks equal parts amazing and terrifying! We are planning to do this next year on our rtw trip- in fact we are going to quite a few of the places that you’ve written about on your blog. I think I will start working on my fitness a bit more before we leave though ha ha it sounds exhausting! Sounds great Ally, it was difficult as we said but totally worth it! Some people took longer, so if you do struggle a guide should be on hand to let you go at your own pace! 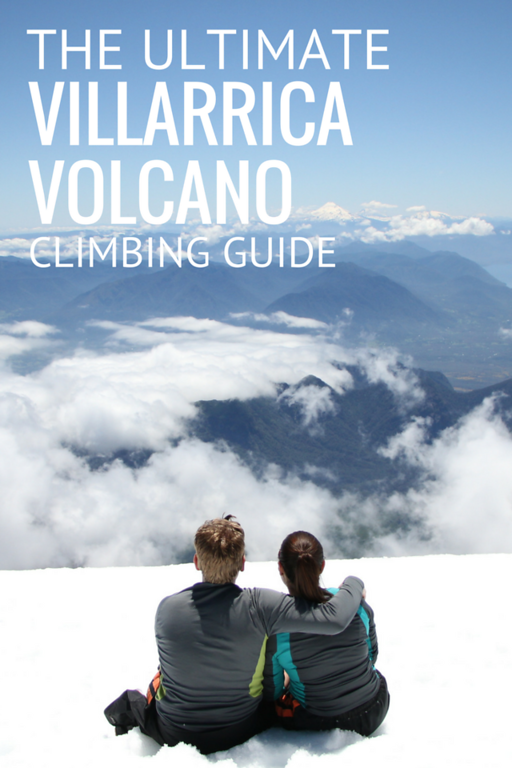 I have no experience at all with climbing/hiking and would like to climb the Villarrica. Is it advisable? Hi Bettine, thanks for your message! It’s a really hard question to answer to be honest – it depends on your level of fitness, how strong your legs are and what the conditions are like on the day. I can’t say whether you should do it or not unfortunately! In terms of our experience, we had done a number of one day hikes before and had only used ice axes and crampons once prior to the trek. The trek itself was tough for us, certainly one of the most challenging we have done so I would approach it with caution. I would advise you to contact some agencies in Pucon and ask their advice! When have you been there? which season was it? Ill go to chile in february . 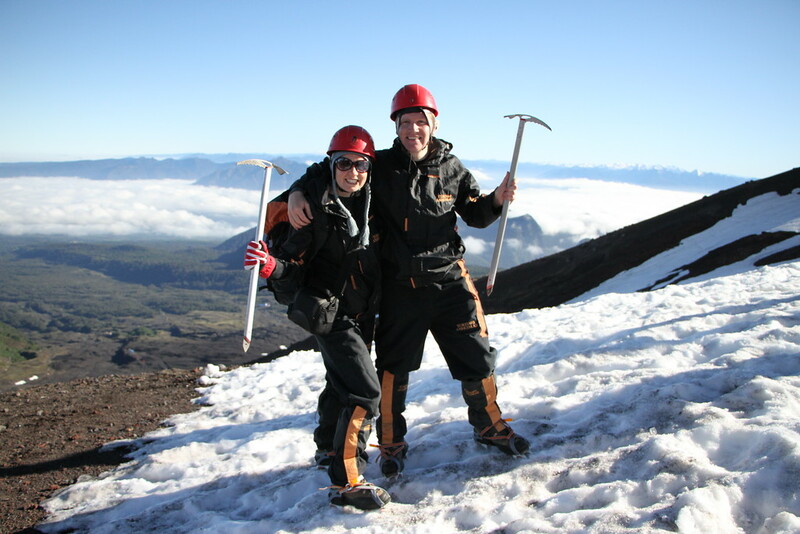 Hi Thomas, we climbed the Villarrica volcano in November! Your blog is so inspiring. I am a college student and I have dreamed of climbing mountains and seeing the world! One day I hope to do what you do! I am so glad I stumbled on this website. Great blog! Love all the detail. I’m Going to Pucon this January! 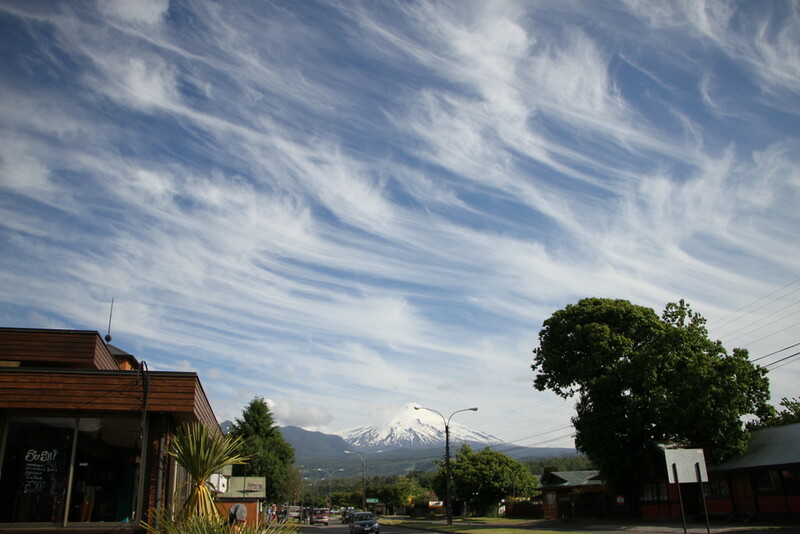 I’d really like to climb Villarrica too. How fit are you? How old are the folks that climb the volcano? I am fit, but not young any more (I’m in the 60’s), and after 2 weeks of vacations without exercising I am getting a bit concerned. If you can’t make it to the top, do you turn back with a guide? Wow, it looks amazing! i am going to Pucon in 2 days, and I am so excited. How tough is the trek on the knees though? I hurt my left knee very badly one month ago at Torres del Paine, even though I still did Fitz Roy and Cerro Castillo few weeks later (bearing the pain). If this is much tougher I might have to give it a miss. is it possible to climb at around September 25th or the weather will not allow it? Hi Yariv, we would recommend that you check this with one of the local travel agencies in Pucon. 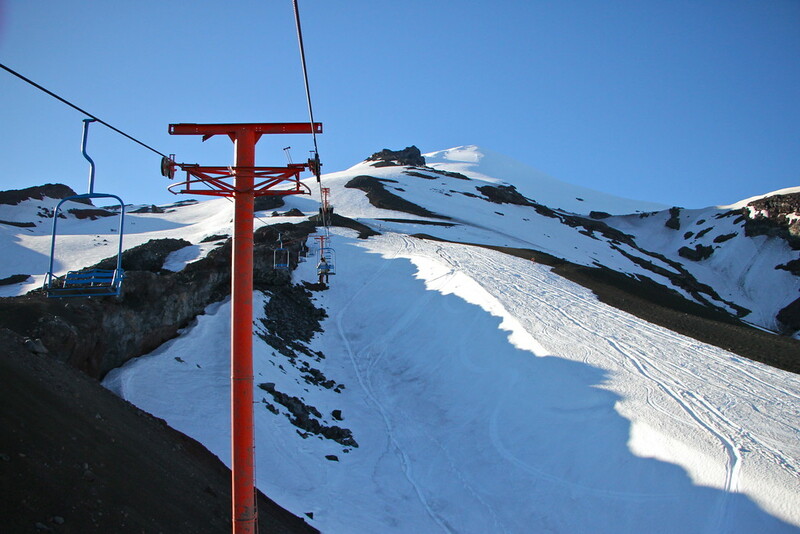 We climbed Villarrica in November time, so we’re not sure what the conditions would be like in September. It may be too cold to climb it then, however the local guides will be able to give you their expert opinion! Good luck!